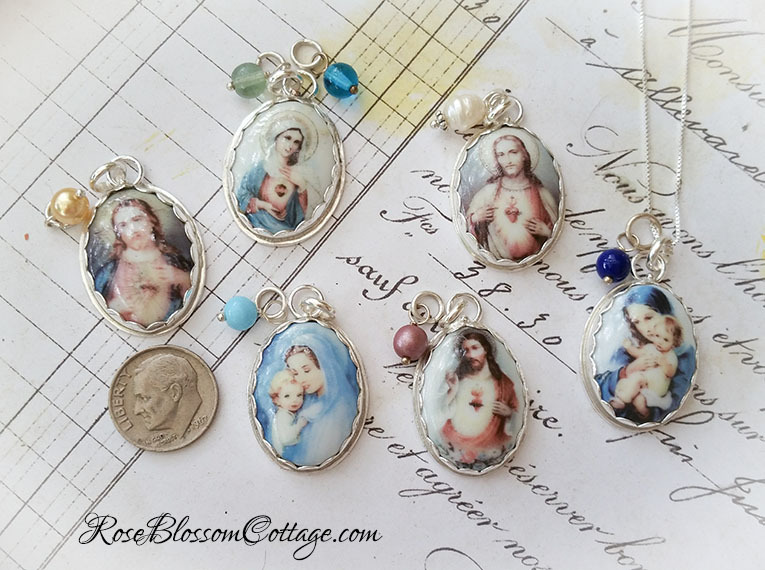 Part of our lovely Faith collection. 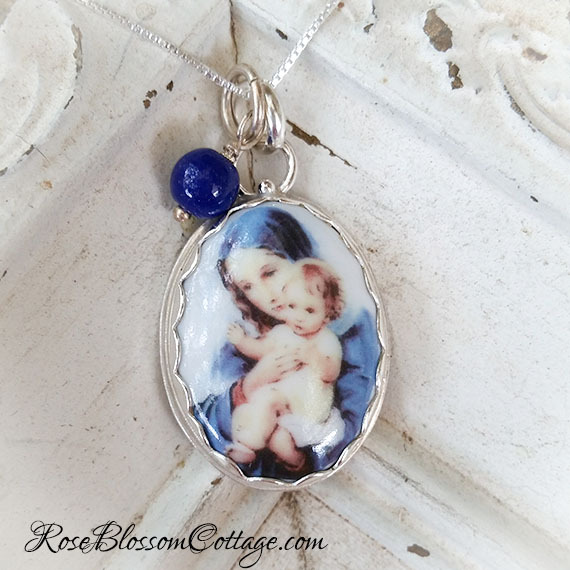 Oval porcelain featuring the Blessed Virgin and Baby Jesus navy blue. Really lovely. Image is permanently fired onto the porcelain. Set in sterling silver in our studio. Back is fully enclosed to prevent the accumulation of dirt and debris. About 1 1/4" from top to bottom (excluding the ring attaching to necklace) and about 7/8" wide. See our others featured in the last picture and in other listings.